If finding adequate training slots in a 50m open air pool for your swimming, water polo or synchronized swimming training camp in a warm weather country has always been a headache especially during periods where demand is traditionally high we are sure that you will be surprised to find out that 5, 50m open air swimming pools exist on the small but never ending sunny & warm island of Cyprus. All of the 5, 50m open air swimming pools on the island are very conveniently located close to hotel facilities, minimizing your time wasted on transportation, in the 4 cities of Nicosia, Larnaca, Limassol & Paphos, with the latter boasting 2 of the 5 50m open air swimming pools which were completed in 2004. 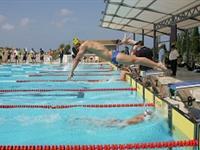 The most known of these 2 pools in Paphos, the Coral Olympic Pool, was constructed as per the instructions of the Head Coach of the British Swimming Association and served as the training venue for the British Olympic Swimming team before the games in Athens and since then they have been regularly returning back. The pool has also been used by other National teams like the Dutch and Paralympic, Swiss, Norwegian & Paralympic, Finnish, Flemish and many other national swimming teams as well as many clubs from all over Europe for their swimming training camps. 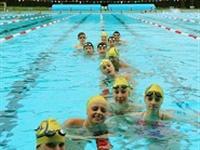 The Coral Olympic swimming pool is situated within the grounds of the Coral Beach Hotel & Resort. 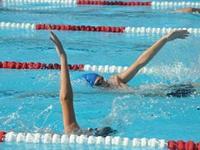 The second 50m open air swimming pool in Paphos area is only a 800m away from the nearest accommodation complex. 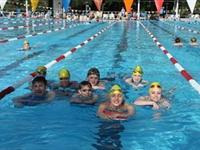 ARENA has the experience, knowhow and highly trained staff to assist you with your sports travel requirements so that you can put together a well-organized swimming training camp. ARENA’s Sports long experience of the tourism industry on the island is a guarantee of the best value for money arrangements when it comes to accommodation, training, transfers, car hires or any other travel related services.